PRF West Coast 2018 tickets are now on sale! 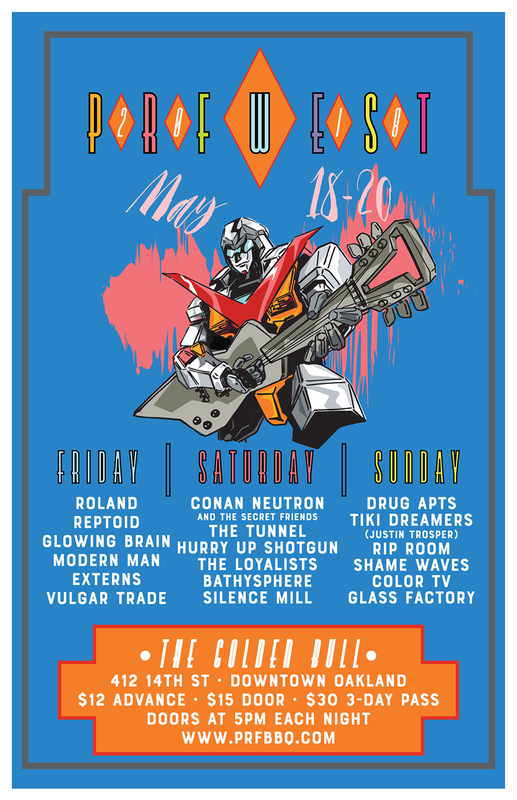 This year will be May 18–20th at The Golden Bull in Oakland. Notice: Ticket Pre-Sales Have Ended! A full, 3-day pass is $30. Single-day tickets are available for $12 ($15 at the door). Advance tickets are available for purchase via Paypal below (tickets will be available at will-call for pickup at the door). PRF West Coast 2018 will be May 18–20th at The Golden Bull in Oakland. More info on tix, etc. to come. UPDATE: TICKETS ON SALE NOW!